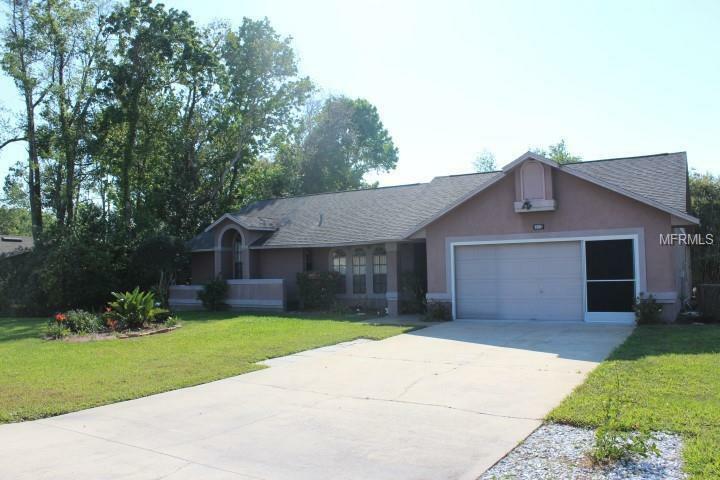 Lovely 3 bedroom 2 bath house located in Deltona. 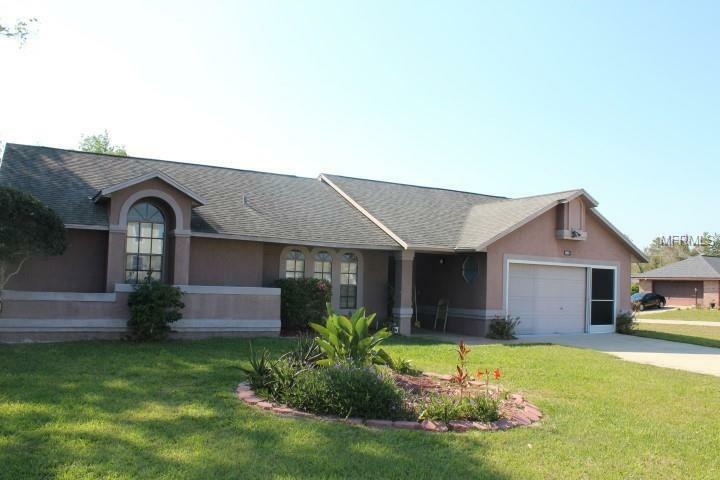 The house sits on a corner lot and features open and split floor plan. The formal living and dining have laminate flooring. The kitchen has newer bottom cabinets. The dinette and family room are also off the kitchen with vaulted ceilings. The master bedroom is nice size and has walk in closet. The master bathroom is spacious. The other two bedrooms and second bathroom are located off the main dining room. The house has the sun room for extra room. Two car garage. The septic was pumped and cleaned in 2018. Shed conveys free with the house. Call for a showing today.